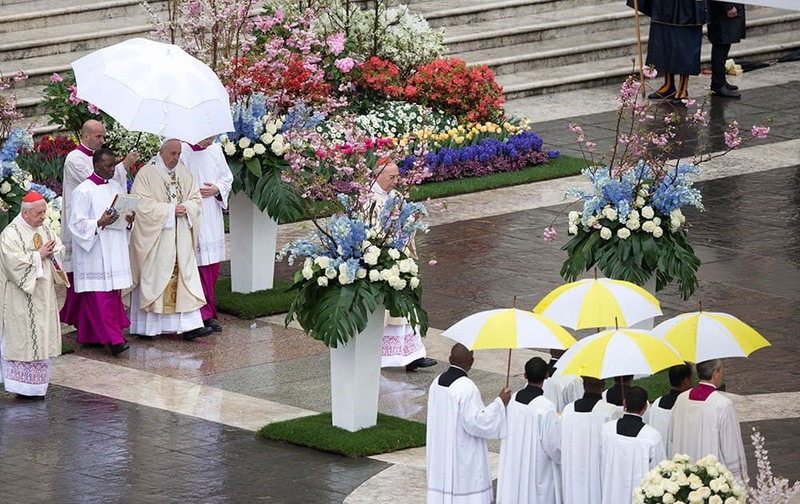 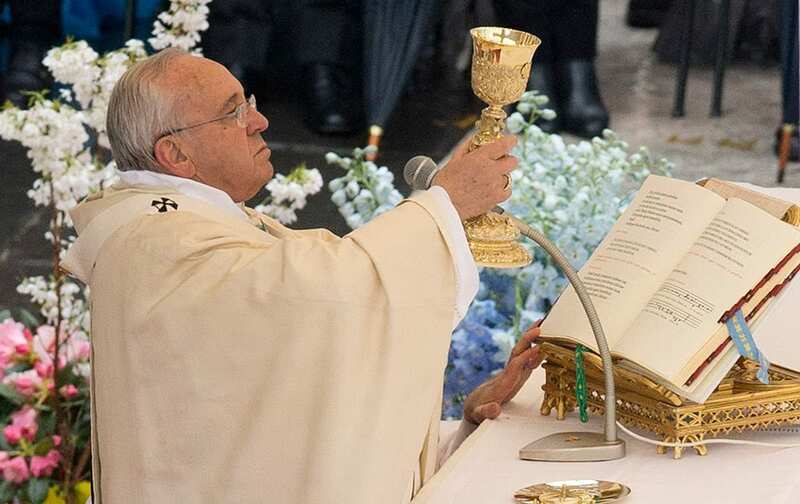 Pope Francis celebrates an Easter mass, in St. Peter's square at the Vatican. 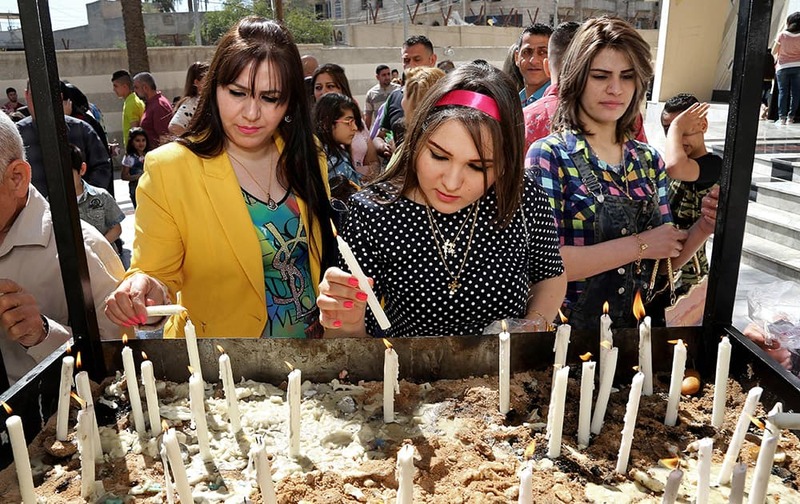 Iraqis women light candles after the Palm Sunday service at Lady Deliverance Church in Baghdad, Iraq. 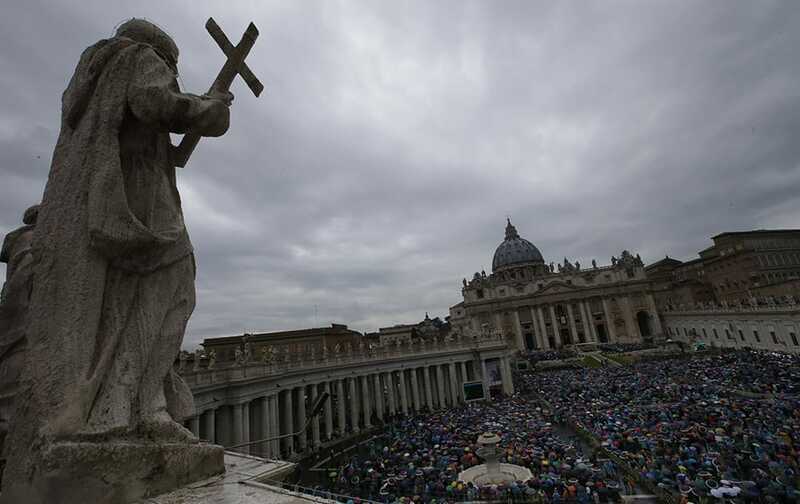 Faithful attend an Easter mass celebrated by Pope Francis, in St. Peter's square at the Vatican. 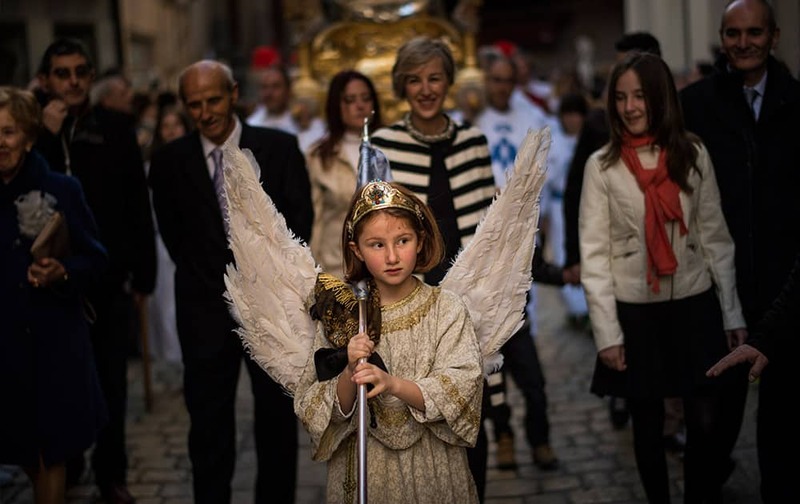 Eight-year-old Alba Oroz, wearing an angel costume takes part during the Easter Sunday ceremony 'Descent of the Angel', during Holy Week in the small town of Tudela, northern Spain. 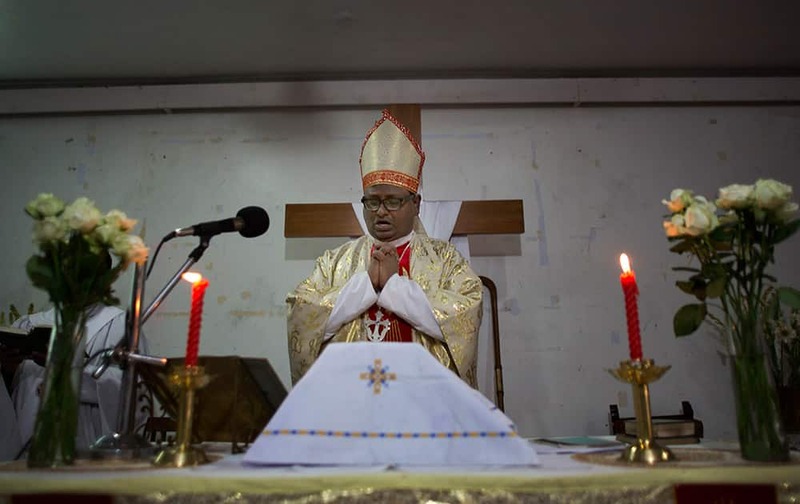 A Christian priest prays during Easter mass at a Church in Guwahati. 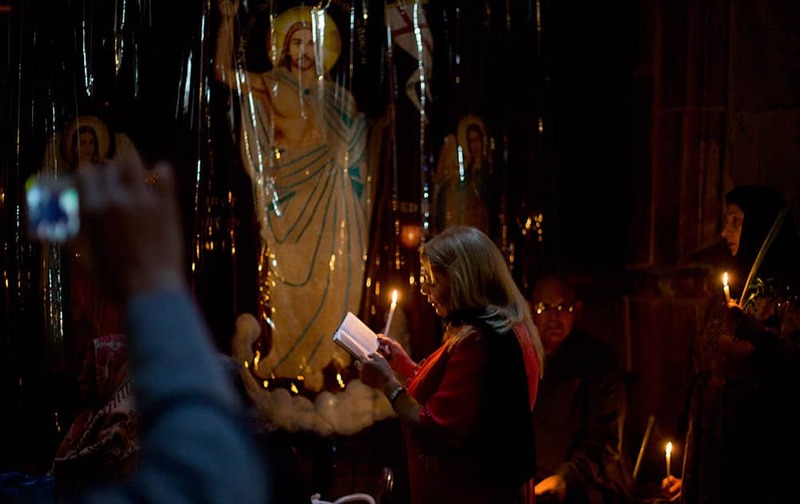 Christian worshipers pray in the Church of the Holy Sepulcher, traditionally believed by many to be the site of the crucifixion and burial of Jesus Christ, during Orthodox Palm Sunday, in Jerusalem. 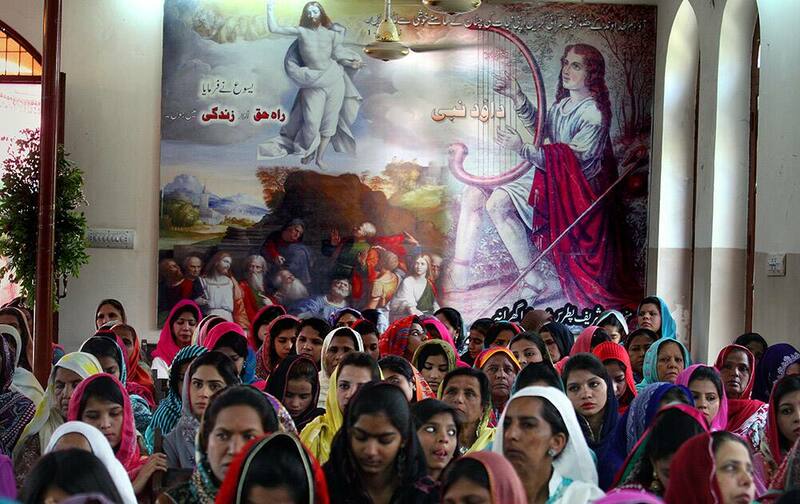 Christians pray during Easter service at St. Oswald's Church in Lahore, Pakistan. 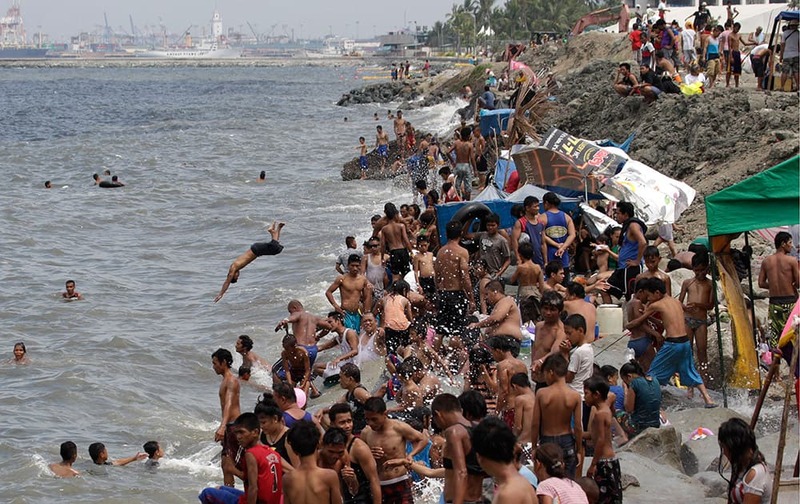 Filipinos swim in the polluted waters of Manila's bay, Philippines as they celebrate Easter. 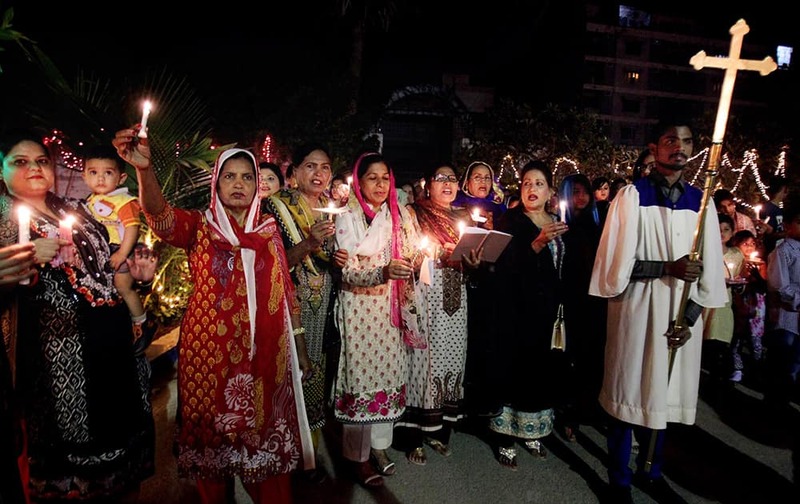 Pakistani Christians chant prayers during Easter service in Karachi. 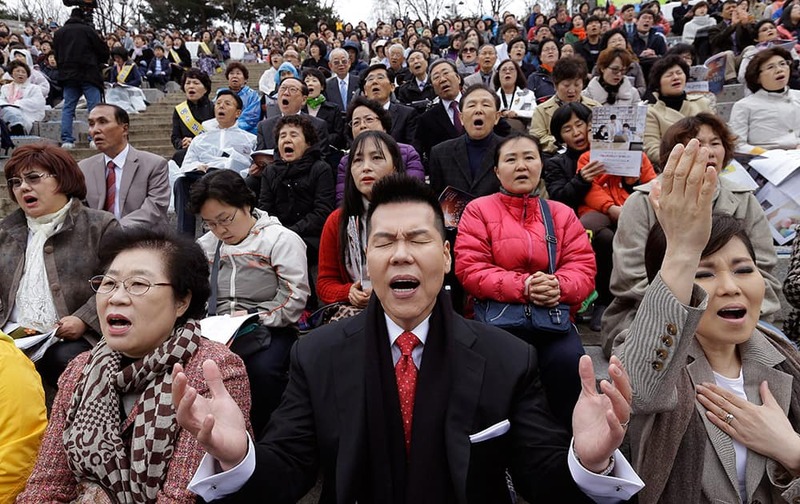 South Korean Christians pray during an annual Easter service rally at Yeonsei University in Seoul, South Korea.